Singer-songwriter, producer & performer, B-Syde, is a multi-instrumentalist utilising live production to manipulate and loop audio from an array of instruments, sequence tight drum breaks and manifest chunky bass lines. We Love We Fight is the latest release from singer-songwriter and producer B-Syde. Staying true to his signature sound of funky breaks, electronic production and layered vocals, We Love We Fight steps into the minimalist loungey house type vibes. Producer, performer, beat maker, and loop layer, creating organic dance floor beats with a sprinkle of Hip Hop, all around the world. B-Syde is a funky looping genius fusing together the sounds of folk, electronic and hip hop music. Funk For Peace is super fun piece of songwriting. A funky mix of B-Syde's signature sound fusing together elements of folk, electronic and hip hop music. Renowned for lush, soulful vocals, Loa casts a south pacific spell with her enchanting harmonies and has teamed up with producer Brother Beans to give you this funky fresh cover. Loa has teamed up with producer Brother Beans for this version of Me Gustas Tú. It features on Beanstalk Records 'Got it Covered concept EP. Sian Evans like you've never heard her before, doing Jolene, polished and raw and then blended with fat bass and head nodding beats that leave you wobbly at the knees. Sian Evans has teamed up with producer Brother Beans for this version of Jolene. It features on Beanstalk Records 'Got it Covered concept EP. A genre-hopping party crew who take their fun seriously. The trip-hop inspired maestros turn the stage into their studio, combining razor-sharp live-production and looping techniques with the tastiest of beats. A track that is so unashamedly pop we didn't know what else to call it, so we present to you our 'Token Pop Song'. Producer, performer, beat maker, and loop layer. Creating organic dance floor beats with a sprinkle of hip hop around the globe. Slick guitar riffs, check. Top notch production, check. Harmonica, raps, harmonies and musical sensibility. Check mate. Enter B-Syde the one man band about to take you and all your mates for a ride with his cheeky new single '5 Finger'. 'Loudmouth' is Silicon Slave's latest offering, a collection of super sharp rhymes delivered over his unique blend of psychedelic bass heavy beats. 'Corporate Furry' serves up a slather of superlative lyrics before the beat spirals off into instrumental glitch-hop madness, Silicon Slave let's rip with no abandon on both the production and rhymes. Sian Evans, singer, songwriter, multi-instrumentalist, and all round power woman. Sian's version on the old traditional folk song 'Blackest Crow'. A collaboration between the psychedelic wordsmith Skurge Swindle, and the smooth huslting, street busking, MPC master Mars Madness. 420 is the lead single from Skurge & Mars Madness new album Resonate. Released on 4:20:15 as a contribution to world peace. Choon Goonz are a live-electronic act based in Brisbane. The trip-hop inspired maestros turn the stage into their studio, combining razor-sharp live-production and looping techniques with the tastiest of beats. For their latest creation Choon Goonz delve into the world of morals, addictions, desires and money. All of us have a side of ourselves we wish to show to others, and another we don’t. Yet at the end of the day we are all in the same predicament. Judge not. Backboned by the trick-nology of DJ tech-wizard Loopert Fast and deft production of vocalist Smashka Word'n, these two crazy Goonz fill the dancefloor with their hip-swinging, loop-busting Choonz. Our official debut single, the mystical-pop sound of 'UnControl' unwinds into the mantras of your mind with looped layers of aural delight arranged in space and repeated in time. A fresh take on modern folk, with a healthy bluegrass twinge, The Rusty Datsuns formed under extra-ordinary conditions during the infamous Brisbane floods of 2011. Don't wait is a soul stirring ode to the monotony of the daily grind. Straight up boom bap with a psychedelic twist. Skurge is a nomadic MC that fuses together a unique blend of complex mind-melting wordplay with world-class production. The title track from his debut album - Circular Inertia - Skurge ties lyrics and rhythm together with the underlying understanding that its all a spiral, and every living thing is a part of the spiral. Producer-MC’s Skinz and Nikzman are KryptamistiK, one of the unsung heroes of the Australian hip hop underground. This soulful number reminds those blinded by the chaos of our time of the simpler things in life. 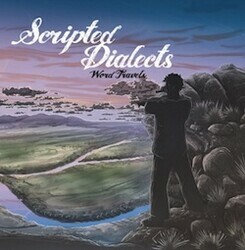 After years of fermentation, Scripted Dialects are ready to pop the top off their new album, Word Travels, a heady mix of hiphop jams, big cuts and brain buzzing lyrics. Global Warning calls into question the current state of consciousness around climate change - featuring the amazing voice of Sian Evans this confronting upbeat acoustic number sends heads spinning round the galactic equator. The Dillion James Band is a collective of musicians that jam, perform and record with the man himself, enveloping his positive vibe with reggae and funk overtones. A laid back groovin' track that questions those that choose to scratch that $haped itch. Quorum Consensus is a musical meeting of the minds - an indefinable, genre-crushing sound, swerving seamlessly between funk, electro-rave-hop, folk, metal, jazz & blues. A funky, witty and nonsensical track that subtly takes the piss out of pop music with word play on the over used phrases we all use everyday. QC is a musical meeting of creative minds - an indefinable, genre-crushing sound, swerving seamlessly between funk, electro-rave-hop, folk, metal, jazz & blues. Dark Portrait is the first track off QC's 'Done & Dusted' Collection - a mixtape released in the lead up to the launch and release of their debut EP. The track depicts the creative workings of the Quorum and the dark perspective that permeates their sound. A fresh take on modern folk with a healthy bluegrass twinge, The Rusty Datsuns create the musical equivalent of freshly baked cookies from your grandma’s kitchen. Your Tattoo's are only as permanent as you are... a curiously cautionary tale in it's mournful ode to raw life and 'drinking whiskey in the scorching sun'.